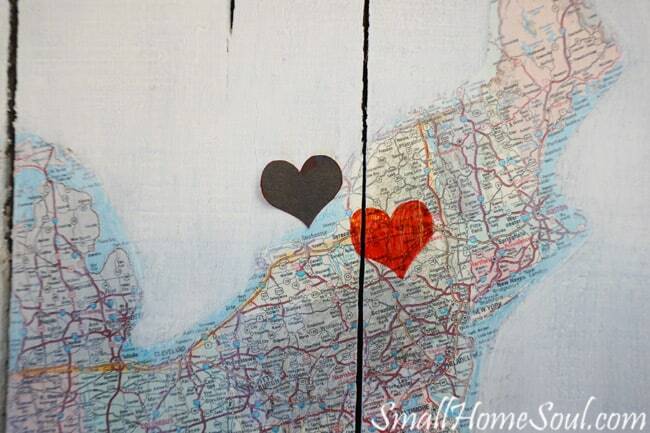 DIY Map Art - a Journey of Love - Girl, Just DIY! 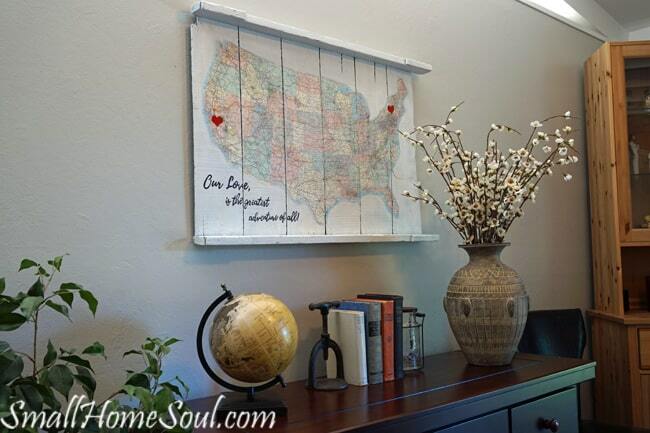 Hi friends, today I’m going to show you this awesome DIY Map Art that I created. 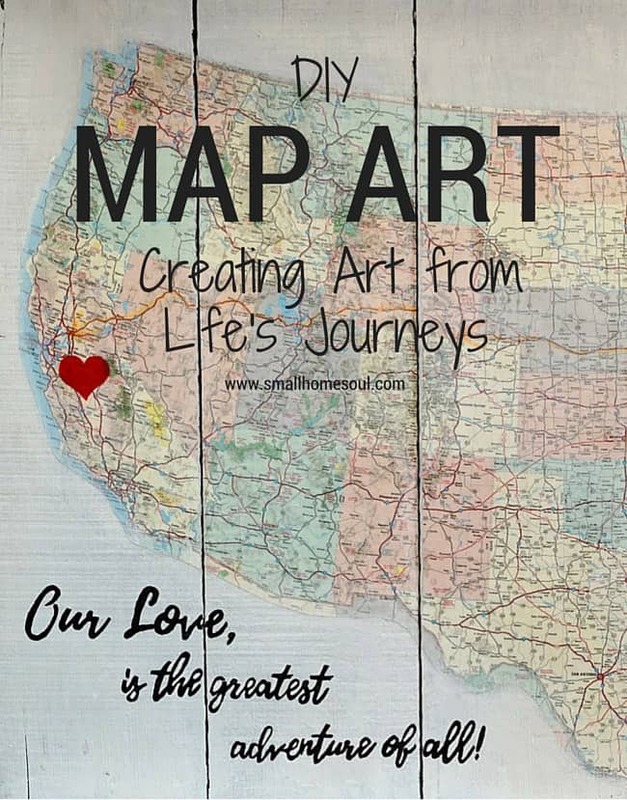 My blogging group does a monthly challenge and this month the theme was maps or globes. After riffling through our plastic box of maps I ran across a map from 21 years ago that AAA gave us to chart our course when we moved back to California from NY state. This post contains some affiliate links for your convenience. If you make a purchase after clicking a link I may earn a small commission, at no extra cost to you. I knew immediately how I was going to display it. I had bought a rickety wood frame at a Teen Challenge Thrift Store. 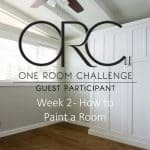 The picture is titled “The Painted Door” but it wasn’t anything I planned to hang in my house, I just wanted the frame. I’d already determined it wasn’t worth anything, lithographs by the French artist who died in 1956 are worth about $60 in great condition. This one had been cut and was cracked and peeling so it couldn’t have had any value. Plus I think it was just a poster that someone DIY’d. But I do check because you never know when you’ll run across a major score at a thrift store. First step was to remove the picture. Um, glue from many years ago was some serious stuff. I had to pick and pull and then spray with vinegar and water to get as much off as possible. I didn’t need it to be perfect Since I was going to paint; but I wanted the edges to be free from glue and paper since they would show. After I got it all stripped I slapped a few thin coats of white paint on it, leaving some areas where you can see the dark original finish. Now it’s ready for the map. First I carefully trimmed the map. Next I found the Longitudinal Line near the tip of Texas and followied it up through North Dakota. I measured to make sure those lines were centered on my frame. If I hadn’t taken this care my map could have turned out crooked. With the map where I wanted it I taped it in place with some Frog Tape so it wouldn’t damage the map. 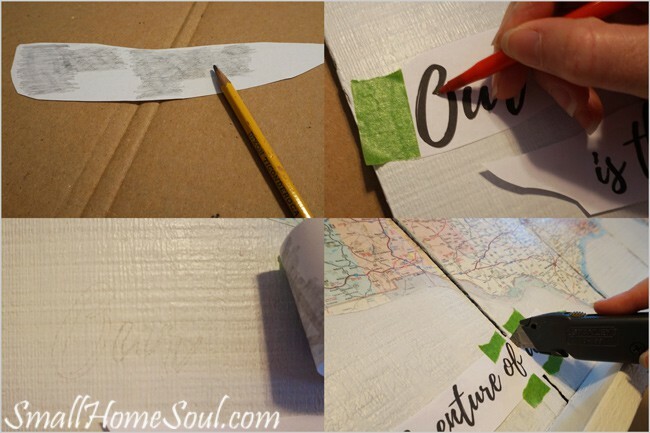 Then I started in the middle and using a long straight board I cut the map on the edge of each board. I moved the cut edge over slightly to line it up on the edge of the next board, lined up the orange hightlighted freeway, taped it, and cut the other edge. Here are all six sections cut and ready for the next step….Mod Podge. 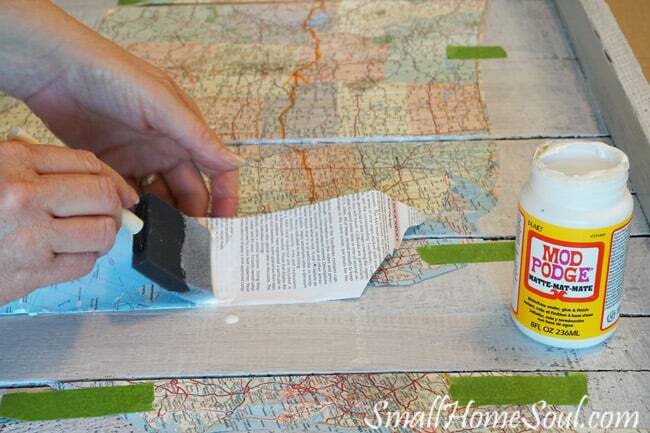 Using your foam brush spread some Mod Podge on your surface and then on the back of the item you are affixing. 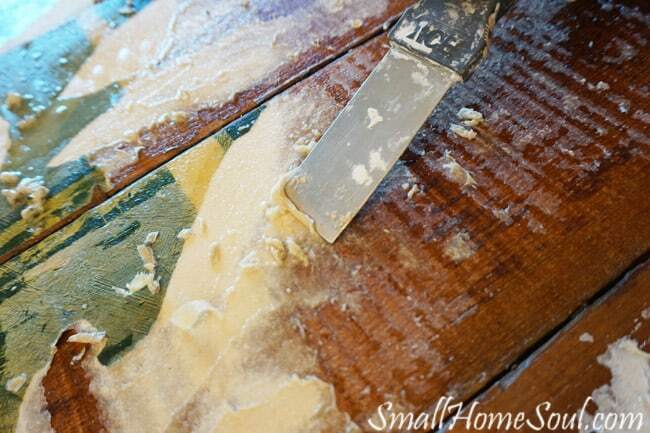 Work from the center outward to get a smooth finish. I had some bumps from the fold and a few air bubbles in mine but that helps the map look old. When I was done and it had dried it was time to add some personal touches. I printed off and trimmed a heart which I traced onto NY and CA and then filled in with a red sharpie and eventually a little bit of red paint. I printed a quote on paper then cut it into sections and arranged it until I found a good placement. 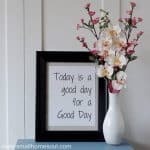 Using a pencil I covered the back of the words and put them back carefully on the frame and taped them in place with a little frog tape. I used a pen to trace the letters, pressing hard and being careful not to miss a line. You can see the outline transferred in the picture below left. 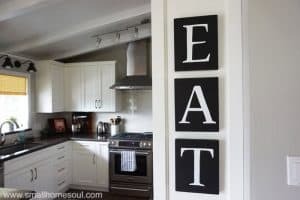 Once you have your outlines down carefully trace and fill in the letters with a Sharpie; I used a black sharpie but you could use any color you want. Here is my finished DIY Map Art project, it took longer than I wanted because I had to strip the poster but it turned out so great! 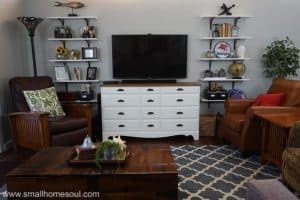 I still need to hang a few things around it and fill up the wall a bit but this is a good start to change out how this wall looked when I shared my Reupholstered our Dining Chairs. We only lived in NY state for one year, which is where my husband grew up. It’s hard to believe that was 21 years ago. Our love has only grown stronger over the years. 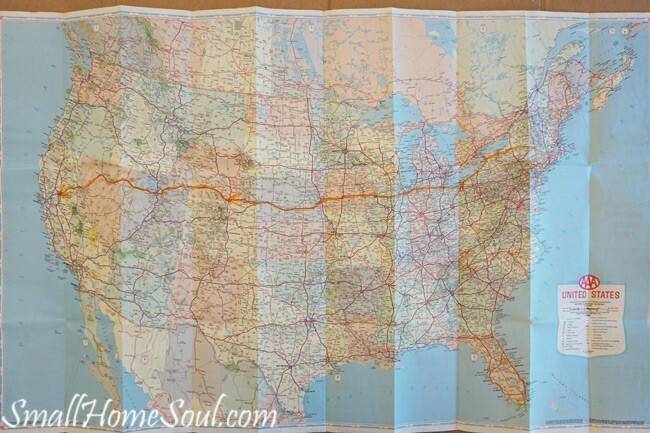 I love seeing this map hanging on the wall representing a journey in our marriage that includes where we both come from. 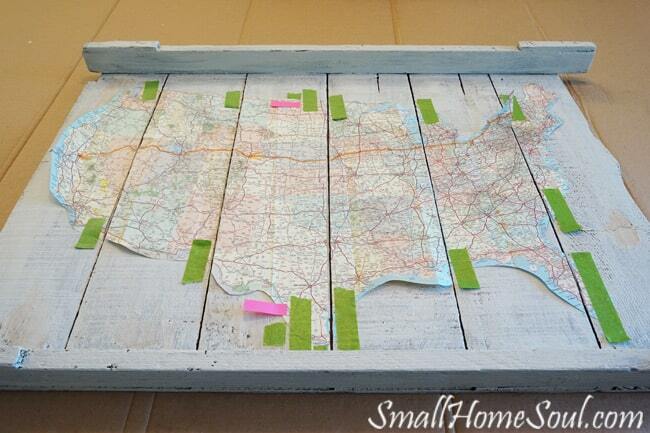 Don’t forget to pin this project for some inspiration when you’re ready to make your own DIY Map Art! Toni, this is definitely my favorite project to date! I absolutely what to do this. Not sure if you remember, but when you were telling me about hanginging a map on your office wall, I mentioned that Scott has been wanting to hang on in his. Now I know how we will do it! Thanks so much for the inspiration you’ve given me with this! This is an awesome project. I want to do one of these. It turned out fabulous!!! What a great and very well done project. How in heck did you figure out how to do that so well, looks so incredible on your wall. It’s a good sized map project. 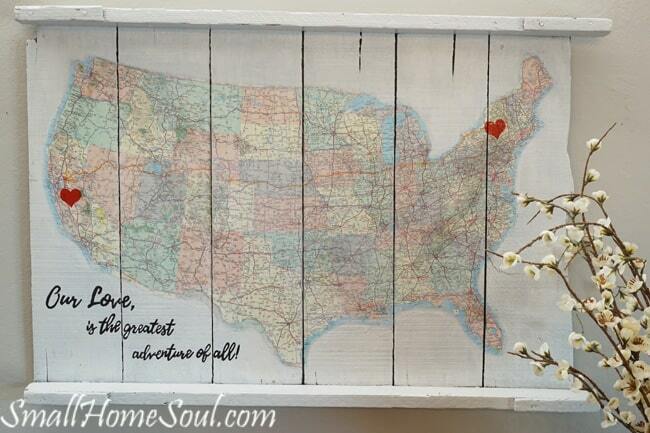 I’d love to do one showing where hubs and I met and all the places we’ve lived, will need to think on it before I start. Hope mine turns out so nicely as yours. 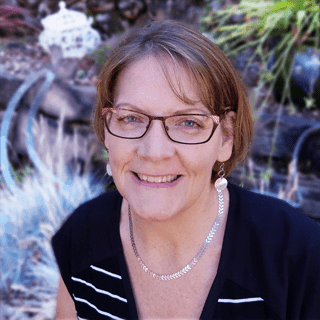 Thank you JaneEllen! I lined up the longitudinal (latitudinal) lines on the map so they were level because no one wants their country map to be crooked. Your project sounds lovely, there are many inspiring projects you can find on Pinterest to give you some ideas too! My Thanksgiving was beautiful as I hope yours was also! I love how this turned out and that it has such a special meaning to you. This is an idea so many of us can do. 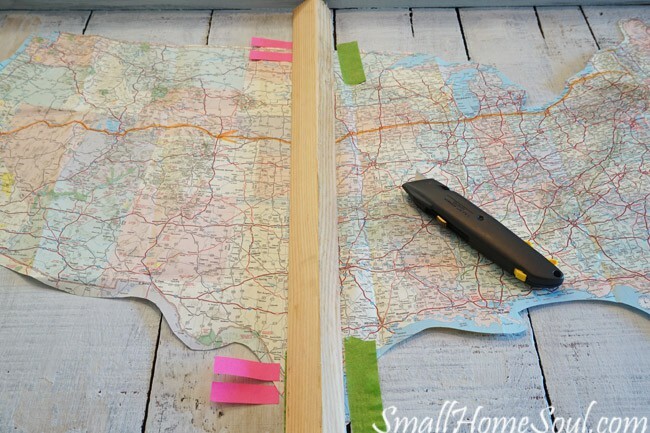 Thank you Debra, anyone who’s ever taken a trip, or even old maps from your home town like Farmhouse Made used, would work beautifully. I love how this turned out! 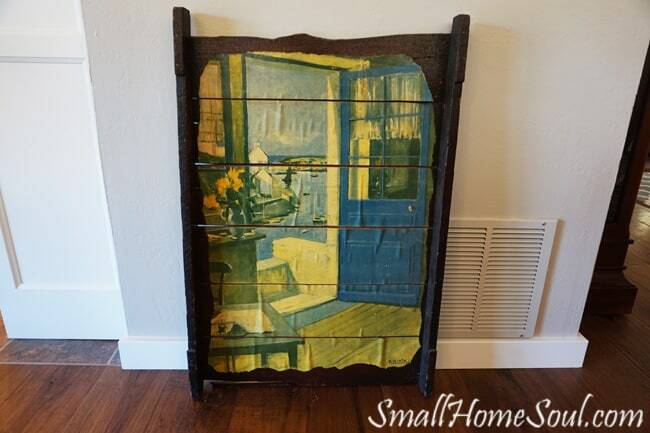 Great find with that frame. I have a collection of globes, now I think I need a decoupaged map! It was a real score, I might distress it a bit at some point to bring more of the dark frame color out. 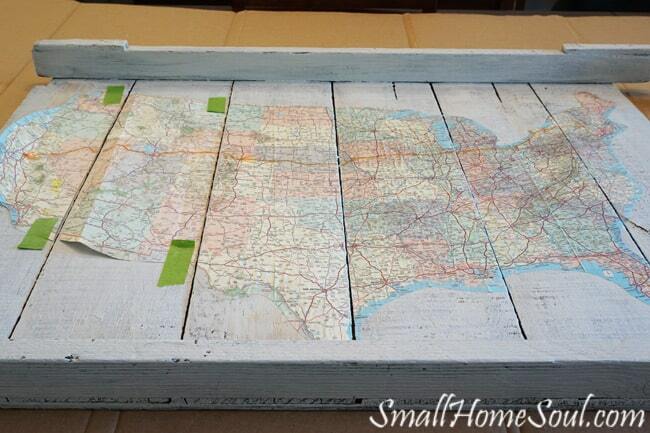 Yes, a decoupaged map would go great with your globes! I have plans to add some maps with all our travels to our stairwell (one day) and I like this idea. Definitely pinned it for later. Yay Donna, that would look so wonderful. Each map would have different meaning and memories! I love it! It came out great! it is such a good idea. I want to try this!! 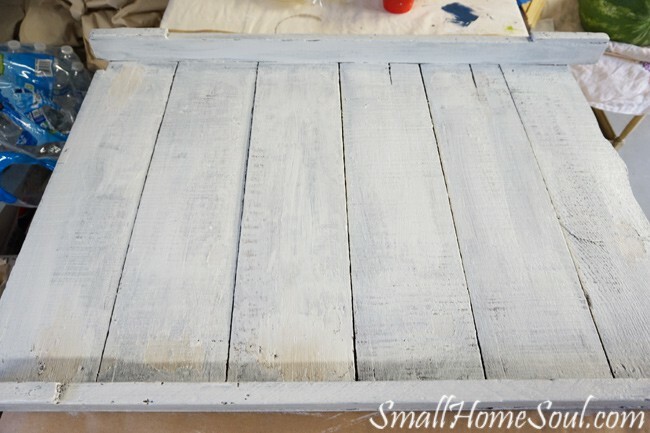 Kellie, you could do this with 1x4s or pallet wood made into a similar board. Let me know how yours turns out! What a great transformation!! Looks awsome! Thank you Sam, I’m so happy with it. Now, I’m trying to think of some other things to hang on the wall around it. This turned out so cute!!! What a great transformation!!! ?? Thank you sweetie, that entire wall needs a makeover so this was a good first step. Thank you so much Nila, I used a similar trick with copying nice font to a chalkboard. Since I don’t really like my handwriting I have to use all the tricks out there.